Analysis: Why can't Celta Vigo be on top of La Liga? 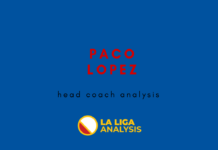 Home Analysis Head Coach Analysis Why can’t Celta Vigo be on top of La Liga? Why can’t Celta Vigo be on top of La Liga? After the defeat on match-day 12 against Real Madrid, Antonio Mohamed lost his job. The appointment of the former coach of Nantes, Miguel Cardoso was official a few minutes later. The Portuguese is known for his attacking side and he has at his disposition a team full of talents (Aspas, Gomez, Sisto, Beltran, Brain Mendez…). Formerly 14th when he came, Celta Vigo are now at the 11th place in the table. Throughout the season, Celta have good possession in their games, keeping the ball 58% of the time. However, we expect more from that club. 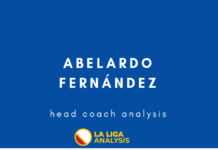 This analysis will use statistics to take a look at the resources of this team and its weaknesses. Celta is one of the rare teams in Spain to set-up in a 4-4-2 system. The starting eleven is consistent, an interesting mix of experience and potential. The keeper is the thirty-two years old Sergio Alvarez, the back four is composed by Facundo Roncaglia and Gustavo Cabral in the centre-back spots, Hugo Mallo as right back, and David Junca on the left. Into the midfield, Stanislas Lobotka or Okay Yokulusu and Fran Beltran (number one at pass success percentage 92,4%), Brain Mendez on the right flank and Sofiane Boufal on the other side bring their support to the forwards Iago Aspas and Maxi Gomez. Maxi provides an air-alternative when Aspas get inaccessible due to the opponents, 4 Aerial duels won per game, with his 91 kgs, the Uruguayan is a beast in the air. The number has contributed with four assists in thirteen games. These stats don’t surprise me because last season, together they completed 39 goals. Last year his release clause was 25M, this winter, it’s double, Celta ask 50M for this man. Recently called with the national team, the 21 years old plays on the right side. He has been decisive on nine goals (4 goals and 5 assists). Luis Enrique speaks on him in the most laudatory terms. The main target for the opponents, he gets fouled 2,4 on average, more than Aspas (1,5 fouled per game). He is determined in the offensive phases, with 2,5 shots and 1,8 key passes and as he continues to progress, I am not convinced that he’ll stay longer in Galice. When Celta presses, we examined that flat 4-4-2 gives a lot of possibilities to the opponent to play through the middle. 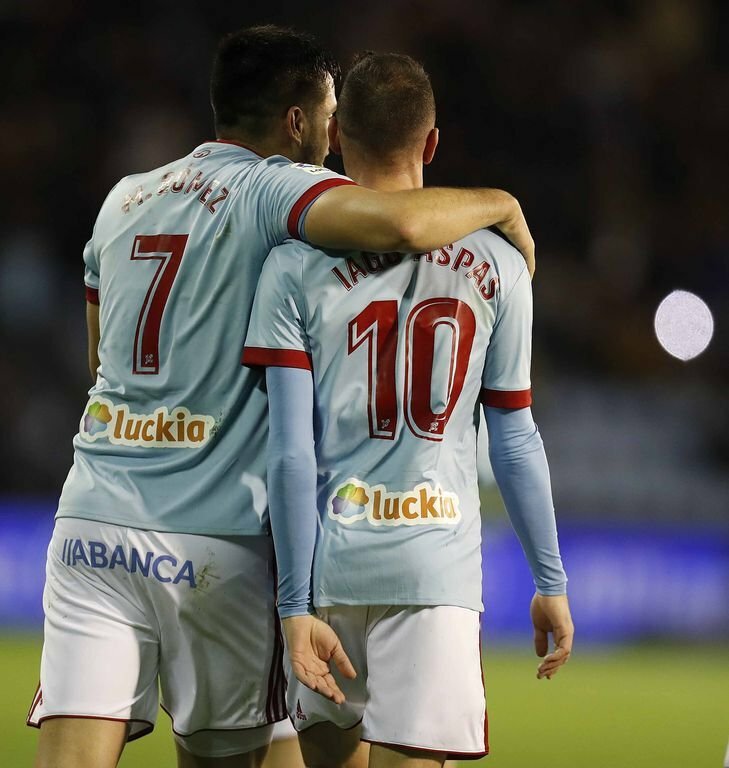 The relationships between the various units or blocks on the pitch aren’t very good, gone are the days of Celta standing imperiously in the Balaidos, this season Roncaglia’s mates have drawn four and two defeats (against Alaves and Real Madrid) in nine games played in the Bailados. There are no guarantees with the back four, in 17 games, they conceded 26 goals. A team seeks for European tournaments can’t act like this. 1,5 goal conceded per game, only Levante, Rayo Vallecano and Huesca have done worse. Statistics confirm, only 4 clean sheets in a Liga which became more competitive than ever. 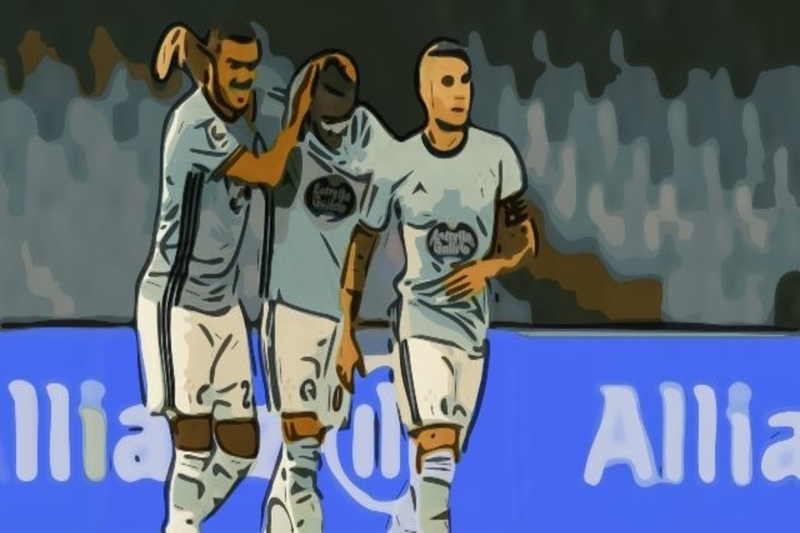 Against Barcelona, they laid down quick after conceding the 2-0, the real attempted in the second half came from Maxi Gomez but it was too late. A huge disappointment for people who thought it would be a big game. Celta forget about Alba which is a deadly mistake that basically cost them the game. The midfield does not properly mark him, and Messi needs a nothing but a split second to find his teammate. We have seen in their opposition against Betis (3-3) and Real Madrid (2-4) when the goalkeeper (usually Sergio Alvarez) is under pressing, the Galician club get easily in trouble because of this. It’s like they did not really have a plan to build-up. We usually see the keeper play long ball to Maxi Gomez. We often see during a game, the Celta defenders unable to avoid individual errors and their full-backs get quickly nervous, for example, Hugo Mallo and David Junca both received 5 yellow cards, Gustavo Cabral and Nestor Araujo respectively one and two red cards. 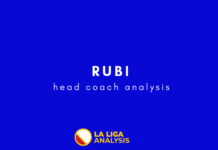 From all this analysis, it follows that Celta has to improve their level in the second half of the season. With that kind of team, we can’t say we pleased about what happens in the season. Many defensive adjustments have to be done. There is no doubt that Miguel Cardoso has a team with qualities and with some intelligent recruitments in the winter associated to the young squad (16 players are under 25 years old) we should see Celta Vigo start to climb the table comfortably. Why not in the top six which means a ticket for Europe? Next articleWho is Real Betis left-back Junior Firpo? Student in Economics. Proud member of the Ronnie Dog Media team. Chelsea fan and a crazy about tactical discussions. Can Caparrós’ new style win El Gran Derbi for Sevilla?